Blue dots will appear on days you have planned a lesson. The blue dot appears as soon as you have made any edit. 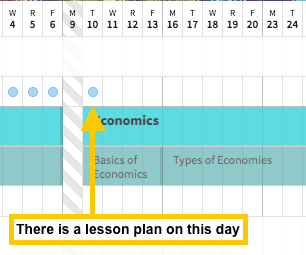 If you do not see a blue dot on the unit plan, that means you have not written a lesson for that day yet!